Discover how an imprinted item has the power to reach the right hands, convey your message, and make an impact. Find out why over 2500 organizations trust csGear to provide imprinted items made right and made on time. Guaranteed. Looking for the perfect promotional item or recognition gift for your message? Call us today at 800-233-6690. Our products experts will help you find the right item from over 50,000 available. We're here from 8:30AM - 5:00PM (ET) Monday thru Friday. Why do leading organizations use csGear? Because they can be sure their custom imprinted promotional items will be printed correctly and delivered on time. And because they can count on award-winning customer service, leading technical knowledge, and competitive pricing. Need an idea for an imprinted promotional product or an entire customer relationship management program? 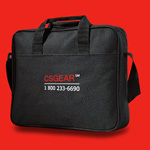 Call csGear today at 1-800-233-6690. Imprinted promotional items are a great way for organizations to communicate their message, because promotional products are long-lasting, dimensional and functional. There are many terms that describe them: premiums, ad specialties, and promotional products. 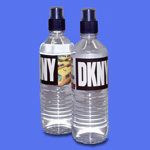 Companies use custom imprinted promotional items to market their products and services. And some items like postcard magnets can be used in direct mail campaigns. People like promotional products including coffee cups, custom t-shirts and imprinted pens and they appreciate the companies that give them. There are thousands of different promotional items available, which gives companies many different ways to promote their message. 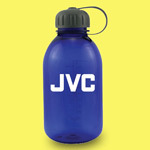 For help selecting just the right promotional item, please give us a call: 1-800-233-6690.